I didn't grow up in Myrtle Beach. I am a born and bred Baltimoron and proud of it. That said, this is my adopted home and, as such, I have found myself increasingly more interested in the local lore and history of the area. I guess that's where my obsession with the Ocean Forest Hotel began. I think I first heard about her in Dino Thompson's Cagney's commercials on TV-33. Since then, I have researched her wherever I could, rummaging through the local libraries, scouring the internet and (the most fun) chit-chatting with people who still hold her in their collective memories. Regretfully, I never got to see her first hand so I depend on the accounts and stories of others to bring her to life for me. I hope that those who remember her think I do her justice in my upcoming novels. While I have taken my share of liberties where actual events are concerned, I have done my best to capture the spirit of a young Myrtle Beach and The Ocean Forest Hotel in the 1940's. 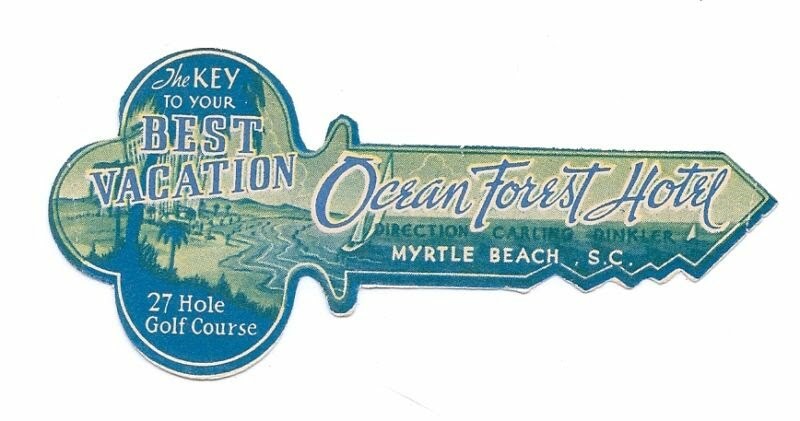 I am always interested in hearing from anyone with something to add about the Ocean Forest and Myrtle Beach of yester-year so if you have something you would like to share on the subject please feel free to contact me at: troy@theoceanforest.com. Just don't be surprised if something you share ends up in a future Frankie McKeller Mystery.